Any songwriter can rattle off a few tracks about love and all of its complexities, but only these true artists know the deepest-felt emotion in the human experience: that feeling when you just want a snack and you want it as soon as possible. This hit song was ubiquitous in the mid-’90s and came to fruition after the group decided to lay down a track that perfectly encapsulated their feelings about taco bars. 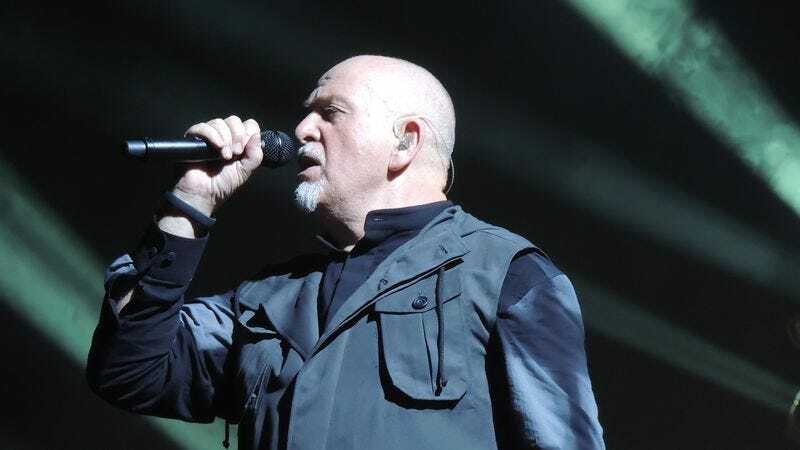 This 1986 Peter Gabriel hit burst into the public consciousness in the Cameron Crowe film Say Anything…; however, Gabriel later confirmed that the song was about the time when, famished, he saw the reflection of a Pizza Hut in the eyes of an ex-girlfriend. It’s easy to think “Tuesday’s Gone” is about a girl who got away. However, it was penned by the band after discovering that Gator Dave’s Roadhouse ended the Tuesday night all-you-can-eat chili special while they were away on tour. “Come Pick Me Up” might sound like a song about embittered lovers, but like the rest of the tracks on his debut solo album, “Heartbreaker,” the song is actually about Chinese takeout. This 1992 Whitney Houston cover of Dolly Parton’s hit was recorded for The Bodyguard, a film in which Kevin Costner portrays a former Secret Service agent haunted by the fact that he was off-duty and therefore unable to save a hungry president from having his honey-baked ham hit the ground.